This website performs excellently on the search engines. 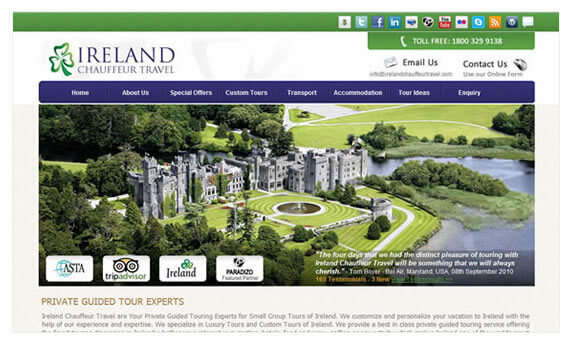 Search for “private guided tours of Ireland” or “small group tours of Ireland” and this site is in the top 3. The results are the same for many other targeted keywords. Irish Web HQ are also undertaking the ongoing search engine optimisation of this site. The site achieved a great rating on www.websitegrader.com. This online tool assesses websites to see how well they are optimised for search engine promotion.